Don't let those important memories pass you by forever. Capture those precious moments while looking your best at Mimosa Digital's Portrait Studio. Count on our experienced and knowledgeable professional photographers to make you feel comfortable and help you look your best. 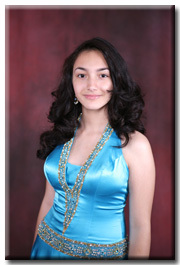 View our different backdrops on-line. At Mimosa Digital, we want you to be involved in the creative photography process. Your ideas and preferences are important in helping us provide you with portrait that you'll be happy with. Call 201-222-1103 today to schedule your creative portrait session at Mimosa Digital. Do you have a speaking engagement at a conference or need a photo business card? Have your business portrait or a headshot taken at Mimosa Digital. Call to schedule your appointment today. Mimosa Digital offers a simple no-fuss pricing. 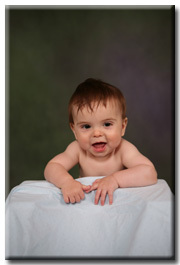 Our portrait sitting fee is just one low cost for a half hour session. Need more time? Add extra time to the same sitting for just a bit more. Then simply enjoy Mimosa Digital's standard retail printing prices for any of our professional printing services. That's it! No hidden fees, no extra high printing charges for portrait pictures or extra charges for copyright-release. High resolution CD provided does not include any retouching to photos taken during the portrait sitting. 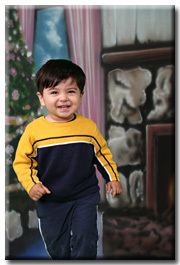 If needed, you can choose which photo you'd like for us to retouch for you. Retouching service charges apply. $100/hour in 15 minute increments ($25/ 15 min). Removal of pimples, braces, stray hair, slimming effects and more. *extra half hour must be at the same time.